REVA Institute of Technology and Management was incepted in the year 2004 under the aegis of Rukumini Educational Charitable Trust as educational ventures of Divyasree developers. 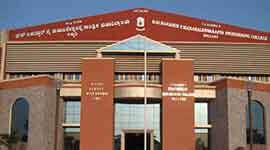 The College is affiliated to Visvesvaraya Technological University (VTU), Belgaum and is approved by All India Council for Technical Education (AICTE), New Delhi. The college also has excellent outdoor sports facilities like cricket ground, tennis court, basketball court etc with a spacious swimming pool in progress . It has a full fledged gymnasium and indoor game facilities like badminton court, table tennis, chess, carom etc. 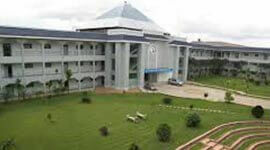 It has also has an air-conditional seminar hall with good audio-visual facilities. The Training & Placement department of RITM is the chief facilitator for the students to obtain the placements best suit them and is primarily liaison between industry and the Institute. The training department provide Technical skills training and enable students towards application oriented learning. The placement wing of the department handles all aspects of campus placements for the graduating students at Reva ITM. 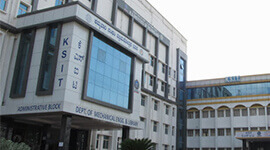 REVA ITM is an AICTE approved institution and accredited and affiliated to the Visvesvaraya Technological University (VTU) . 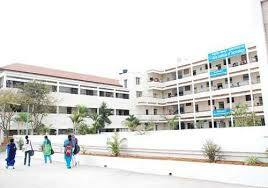 The campus is well equipped in 35 acres of land located in Bangalore with International standard amenities. 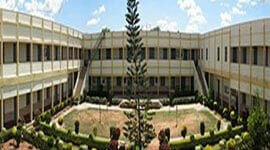 The institution has excellent faculty members to provide quality education. 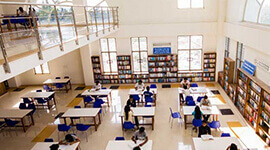 Reva Library and information center is center of intellectual activity with excellent collection of books and journals. 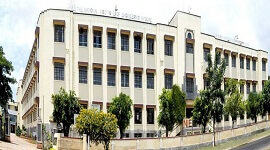 An air-conditioned seminar hall is located within the campus to conduct of Parents-Teachers association, get-together seminars, workshops and guest lectures and other functions. The hostel provides hygienic food and clean surroundings so that the inmates can live in a congenial atmosphere at affordable prices. . The Training & Placement of the institution is the chief facilitator for the students to obtain the placements best suit them and is primarily liaison between industry and the Institute. The training department provide Technical skills training and enable students towards application oriented learning. They arrange Pre-Placement Talks, interviews, Group Discussions . The placement department handles all aspects of campus placements for the graduating students at Reva ITM. The training department provide a greater understanding of the subjects (Technical skills) and enable students towards application oriented learning. The department aims to provide good practice of Numerical and Verbal ability tests so that students clear preliminary assessment of companies and develop the ability to see a task through to its conclusion. It helps to develop personal skills including communication, problem solving and confidence. The placement wing of the department handles all aspects of campus placements for the graduating students at Reva ITM. 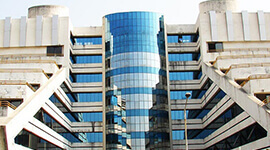 The main campus is well equipped in 35 acres of land located in Bangalore with International standard amenities. Library, the treasure house of information is the nerve center of intellectual activity of any institution. 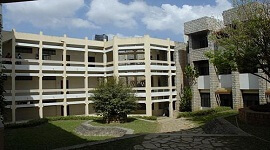 An air-conditioned seminar hall for accommodation of over two hundred and fifty participants is located within the campus. The facility is used for conduct of Parents-Teachers association, get-together seminars, workshops and guest lectures and other functions. Incubation Centers are planned for establishment inside the Campus to identify new technologies and software tools to offer consultancy services and undertake small-scale projects by faculty and students with an aim to develop skills amongst students to meet industry demands. The college operates 20 buses which covers all the parts of the city. About 1500 Students and 150 staff have been using the facility.